Hey, did you know Turtle's bigger brother? Or father - I should say. Project Scorpio started in 2013 in Wrocław University of Technology in Poland. 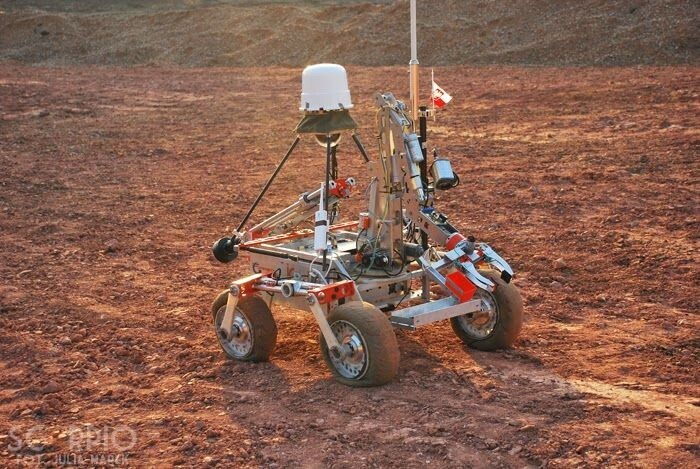 The robot itself is a 35 kg + 15kg payload 80x80 cm Mars rover prototype built especially for Mars Society Rover Challenges in Utah and in Poland. We led the project for 3 years and won some nice places in the World. After leaving the University we reunited with new idea and designed Turtle Rover.